Each year, I like to take some time and look back at the photographs I posted to Flickr. (Here are links to previous years – DSLR & iPhone) Being a nostalgic sort, this is something I enjoy very much. The thing that surprises me is how much I forget and how distant these scenes seem from now. The old saying – it seems like yesterday – is one I have never been able to connect with. Yesterday seems an age away for me. Heading back and seeing what I posted twelve months ago seems like another life. It has been a very good year. I got to see new countries: Taiwan and Denmark; and revisit places I love: Hong Kong, Korea, Japan, London and Berlin. Really cool. I like this little exercise of looking back, mainly because it is an exercise all about believing in the future. Twelve months ago none of these images had been realised. One of the reocurring feelings I get as a photographer is that I will never create another photograph worth anything. It is something experience each time I head out with the camera. But I know that I will. I know I will learn and get better. I will be here twelve months from now looking back at 2015 and getting excited about 2016. In 2015, I posted 241 photographs on the DSLR account and 248 to my iPhone account, making a total of 489 images. That is a lot, by any standards, and to whittle it down to one image from each account for each month is not an easy task. But here we go. We started the new year visiting a beach to the east of Cork. It was a wild and windy day and darkness was settling in almost as soon as we arrived. There is something about the sea which is so quietening. I could stare at it without any awareness of time passing. When I lived in Spain, in Badajoz a city whose river had dried out, I missed water so much. Coming from Cork, with our city centre an island that the River Lee surrounds and only being a stone’s throw away from the sea, I need water. I need to hear and smell it. 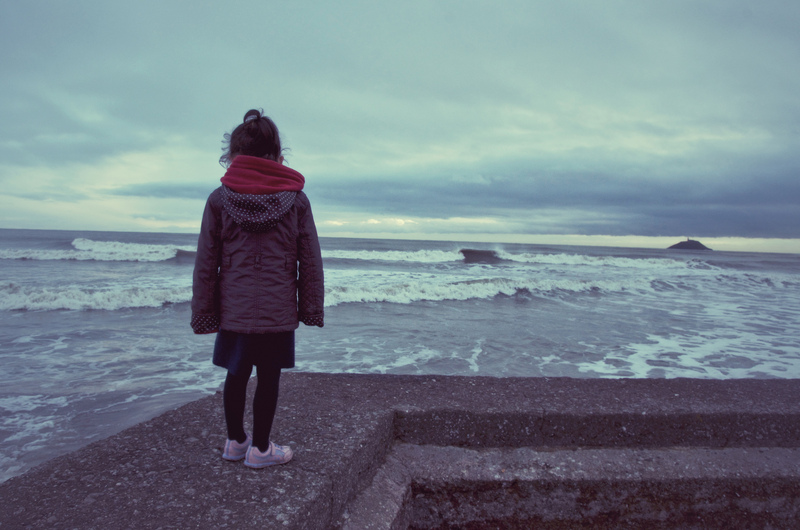 This image I have chosen as my favourite for January is one of my little girl, Sumi-Anna, staring out to sea. I stood behind her as she stared. Captivated by her, wondering what ran through her mind as she looked out. Wishing for her all she could ever wish for herself. As a parent, I find I take so many images of my kids with their backs to me, walking away, bravely, without me. Not waiting for me, not needing me to hold their hand. The first steps of independence. This is preparation of a sort. I know one day it will come that I will not be wanted. They will need to express their independence. For now, there is still some hand holding and I will hold tightly while I can. And now on to my beloved iPhone. Fun! That is what the iPhone is all about. It puts the phun in iPhunography. Don’t get me wrong, I like photography with the DSLR too, but it is too heavy, too complicated and too visible. The iPhone is light, fits my hands, does not require too many calculations and it is discreet. And did I say it was phun? It is! 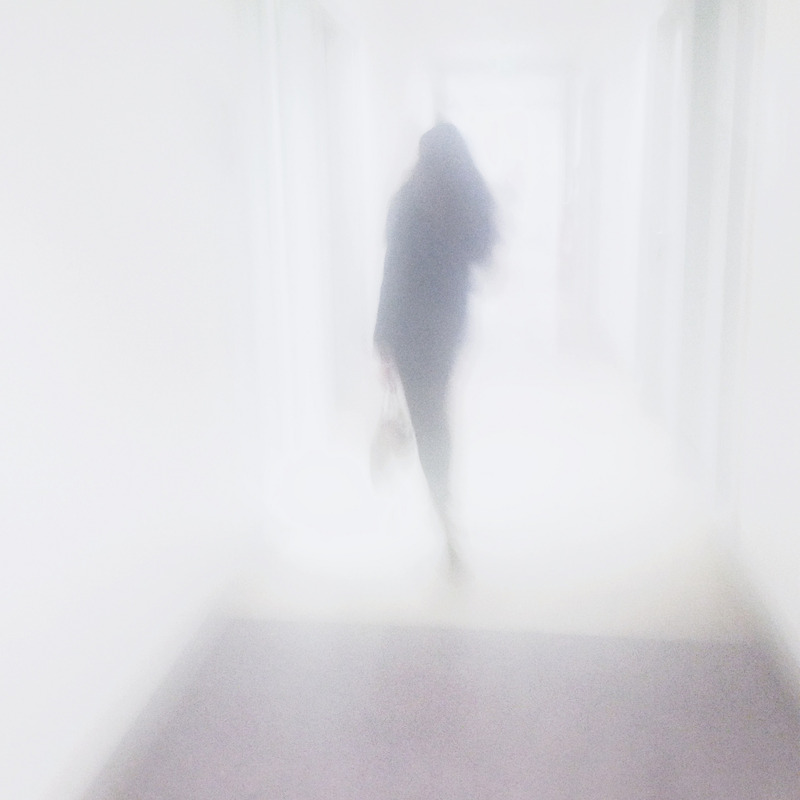 A series of images that has got me a lot of attention is the one of people walking in the corridor where my office is. I have gotten some beautiful images there. Check this and that. The one I am choosing for January is a little different to the others in that the colour is brighter. I love the faint outline and the sense of motion. This entry was posted in A Flickr Year, iPhone, My own favourite photographs, photograph posts, Street Photography and tagged 2014, a review of 2014, Abstract art, art, Best of 2014, black and white photography, Brendan Ó Sé, Family, iPhone, iphoneography, Kiss the future, love, mobile photography, sea, SHOJIPAMTIT, Sumi-Anna, travel.